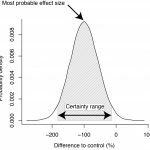 In this post, Alexander Feckler talks about their recently published paper “When significance becomes insignificant: effect sizes and their uncertainties in Bayesian and frequentist frameworks as an alternative approach when analyzing ecotoxicological data”. This entry was posted in Research and tagged confidence interval, Feckler, M. Bundschuh, significance, statistics, Zubrod on May 11, 2018 by Ve. The Working Group “Quantitative Landscape Ecology” of the University of Koblenz-Landau offers a Postdoc position focusing on statistical and spatial analysis of stressor effects on ecological communities and ecosystems. This entry was posted in Thesis/Job opportunities and tagged post-doc, Schäfer, spatial ecotoxicology, statistics on April 14, 2017 by Ve. The University of Koblenz-Landau offers another Postdoc position in the Working Group ‘Quantitative Landscape Ecology’. 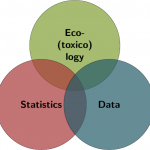 This entry was posted in Thesis/Job opportunities and tagged spatial ecotoxicology, statistics on February 10, 2017 by JPZ. This entry was posted in Thesis/Job opportunities and tagged model, MSc thesis, recovery, statistics on November 21, 2016 by JPZ. 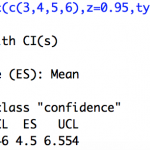 This entry was posted in Research and tagged confidence interval, R, statistics on August 10, 2016 by JPZ. This entry was posted in Masters program and tagged Schäfer, statistics, Szöcs on December 10, 2015 by JPZ. 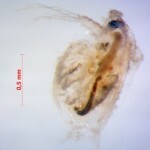 This entry was posted in Thesis/Job opportunities and tagged functional aquatic ecotoxicology, fungicide, literature review, nanoparticles, statistics, test design on July 15, 2015 by JPZ. 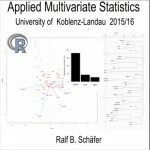 This entry was posted in Research and tagged generalised linear models, M. Bundschuh, mixture toxicity, Schäfer, Schreiner, statistics, Szöcs on June 30, 2015 by JPZ. This entry was posted in Research and tagged blog, R, statistics, Szöcs on June 5, 2015 by JPZ.